The WATEF Network are very pleased to announce their first international conference to be held in the beautiful city of Aveiro, known as the Venice of Portugal. 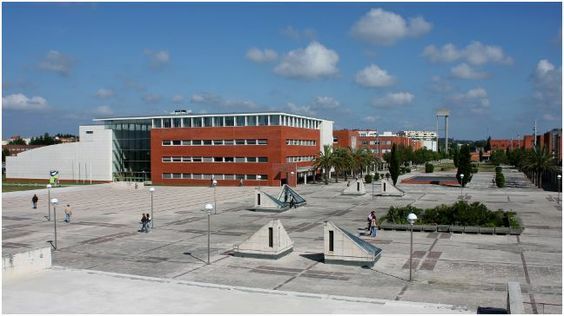 The Conference will be held within the University of Aveiro where there will be plenty of opportunity for delegates to network during the conference sessions and also the conference events all of which will benefit from a true international feel. The city of Aveiro has good transport links and is well known for its many Art Deco/Art Novo buildings and of course the colourful Moliceiros which provide access along the Ria for both tourist and fisherman alike. The WATEF network is proud to support the forthcoming IWA Efficient 2017 Conference where over 100 quality presentations and workshops are already scheduled to take place. Keynote speakers include Jean Spencer, Trevor Bishop and Nicci Russell [Register]. Study Trip: The very interesting and educating WATEF Field Trip to Valencia took place from 5th to 7th April. Thank you to everyone that joined us - see report and photos. We are always happy to receive your suggestions and ideas for the next study trip. "In collaboration with Northumbrian Water Ltd, we are recruiting for an EngD student to work on a project entitled "Rooting Out Resilience: developing and embedding metrics within the water industry." Details can be found at the link in the table at the following webpage: http://www.stream-idc.net/newprojects.php. The application deadline is 30th June 2017.